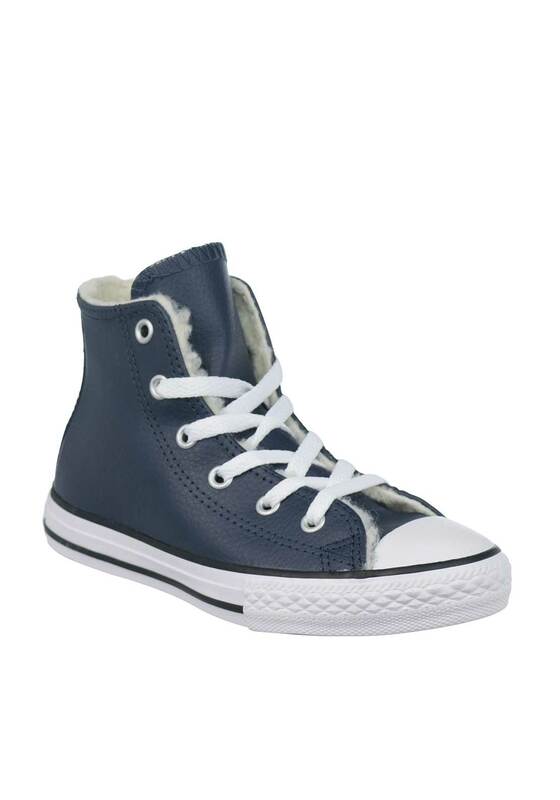 Keep their footwear up to date with these stunning navy leather hi top trainers from Converse. This fleece lined pair will keep his feet warm and has the classic canvas insole. Finished with the Chuck Taylor ankle patch on the side and the classic white rubber sole.